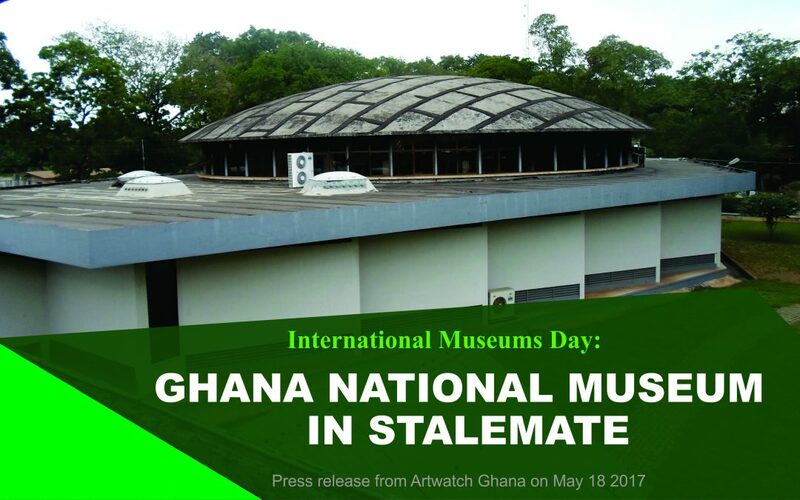 Artwatch Ghana salutes all Ghanaian Museum workers as we join hands with the International Council of Museums (ICOM) to celebrate this special day on the theme “Museums and contested histories: Saying the unspeakable in museums”. It is an important day for awareness creation about the great contributions of museums in historical, educational and socio-cultural development of any nation. facing serious funding problems, lacks proper branding strategy, has magnificent physical infrastructural deficit, obsolete laws, and leadership deficiency. Museums of today have onerous task of keeping evidence of past and present artistic cultures for posterity. The 21st century necessitates higher quest for identification, collection, preservation and display of arts in many formats. There are many digital opportunities that have been developed and practised in museum management globally. The higher quest for the search and preservation of arts that tell the who, where and what of a people is deepened by the fact that the current technologies and way of life have no room for oral history generated by lack of record keeping of the arts. released barely GHS 2,000.00 for the administrative expenses of all the museums in the country which was woefully inadequate. What has been the constant governmental assistance to the museums is the remuneration of its staff. Due to inadequate funds, the museums have weak collection policy, they depend on free donation of artworks, and are not in touch with the current artworks produced in the country. Museums overseas spend huge sums of money to build up collections of contemporary African artworks, yet Ghana’s government does not see that as a priority. For instance, Museum of Brighton, UK recently allocated heritage funds to build up Ghanaian textile and fashion collection from the 1960s to early 21st century in their museum. As a country we do not have collections of our textiles and fashion creations and other aspects of our own arts in our museums. How are we consolidating and preserving the artistic creations of our past and current generations? What are the implications of these cold attitudes towards the arts: its development and preservation on the succeeding generations? Though government’s effort of converting the Christiansborg Castle, Osu to Presidential Museum is commendable, museums in Ghana have suffered enough neglect and must be given due attention for development. Government must act now to support the museums, and also establish Museum of Contemporary Arts. Ghana needs a generational museum. The Ghana National Museum in Accra still inhabits the 1957 temporal building structure. This temporal structure leaks, making the collections unsafe. For sixty years now, the construction of the main museum buildings near the temporal structure is still at the foundation stage. The Museum of Science and Technology opposite Accra Technical University which commenced around 1973 has still not been completed. The regional museums are not exempted from the infrastructural problem. Government must consider using Public Private Partnership in solving the problem of infrastructure and funding; and introduce innovative branding strategy to make the National Museum a topmost priority in the leisure of Ghanaians instead of its present condition of being a preserve for students majority. Our national Museum must reflect our varied artistic cultures, and be a powerhouse of our art history. The neolithic cave art in the Gambaga escarpment and Jiling, about 285km away from Tamale, and others must be documented as part of the Ghanaian prehistoric art in the national museum’s records. The historic Kintampo slave caves that served as a shelter for the slaves during the slave trade must be developed into a tourist site, and possibly declared a world heritage site. Education, University of Education, Winneba; and the College of Art and Built Environment, Kwame Nkrumah University of Science and Technology to be part of the ten-member board spelt out in the National Museum Act 1969, 13(1). From this membership, the Museum must institute a professorial chair to manage its research and publications. Artwatch Ghana, also calls for the amendment of the E.I. 29 (National Museum Regulation, 1973).